We know very little about George's early life. He had seven siblings that we currently know of: John (1811), Rachel (1820), William (1821), Lydia (1826), Joseph (1827), Thomas (1829), and Jesse (1831). While it's assumed George was born in Pitstone (baptism record has yet to be located), by the late 1830s the Simons family is living at Vicarage Farm in Ivinghoe where George's father Jesse ran the farm along side his brother Jonathan. The couple would welcome their first child, a son, Edward J. Simons on the 21 Jan 1838. Complications would arise and on the 2nd February, Edward passed away, leaving the family to mourn the loss of their first child after just 12 days. The following years would be much kinder as son Thomas Simons would be welcomed into the world on 10 May 1839 and a daughter, Maria Simons, would follow on 02 Jun 1841. 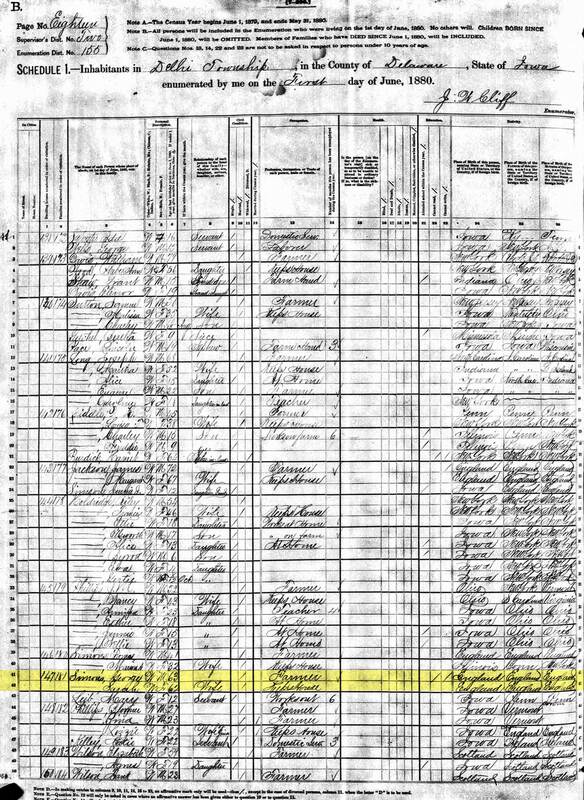 The family must have had some difficulty because within a year of the census they packed their bags and crossed the pond. The 1839 Robson's directory to Buckinghamshire seems to confirm this as George is not listed even though we know he lived here. This would make sense if he had trouble finding work outside of being a farmhand. In June of 1850, Sarah gives birth to their next child Charles Joseph Simons and follows up again on 07 Feb 1853 with their last child, a daughter, Mary Ellen Simons. 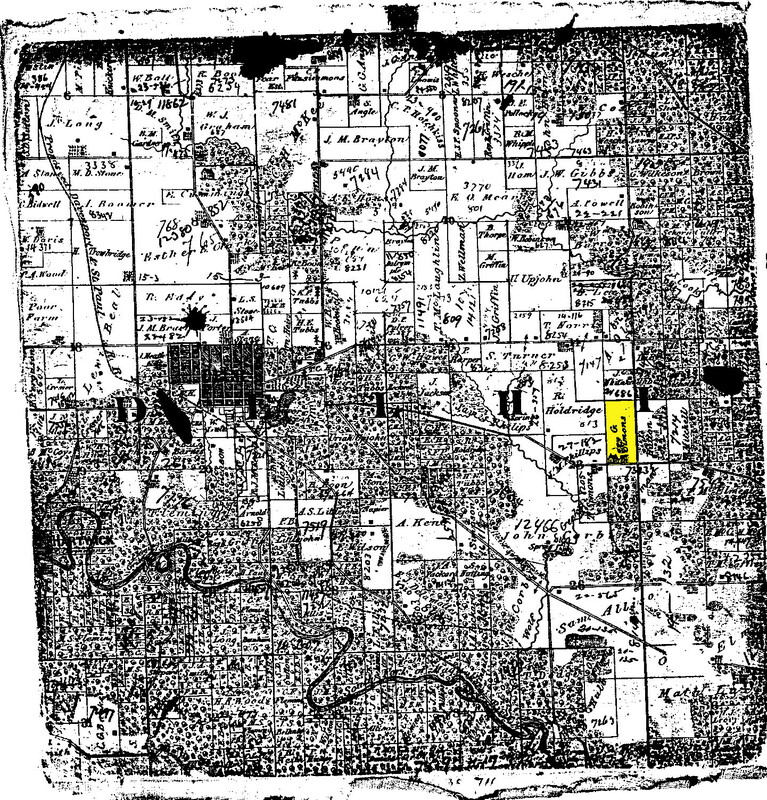 In early 1860 George picked up the Simons family, left North Royalton and migrated to the American heartland where they settled on a farm in Delhi Township, Linn, Iowa. 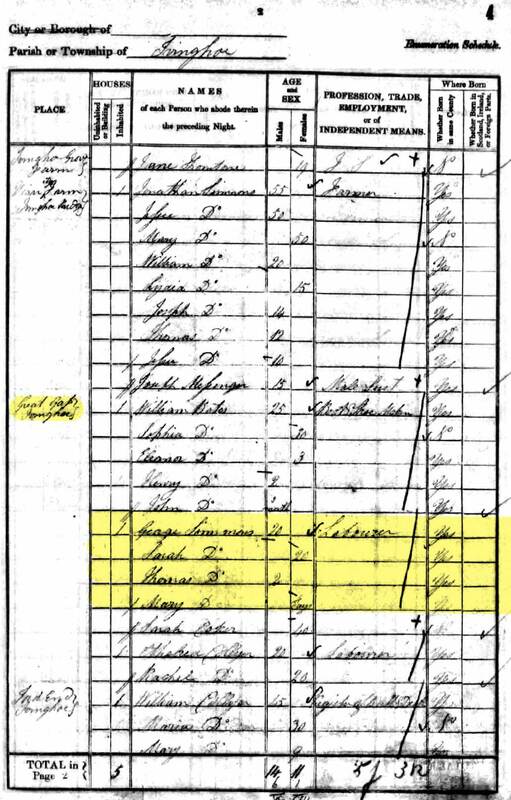 Word is the family followed eldest son Thomas who had left for Iowa previously in 1857 and settled in Julien, Dubuque, Iowa by the 1860 census. It has been stated that after the family settled in Dehli, they either picked up Thomas, or he traveled to meet them in Dehli... either way, by the outbreak of the Civil War they were together in Dehli. 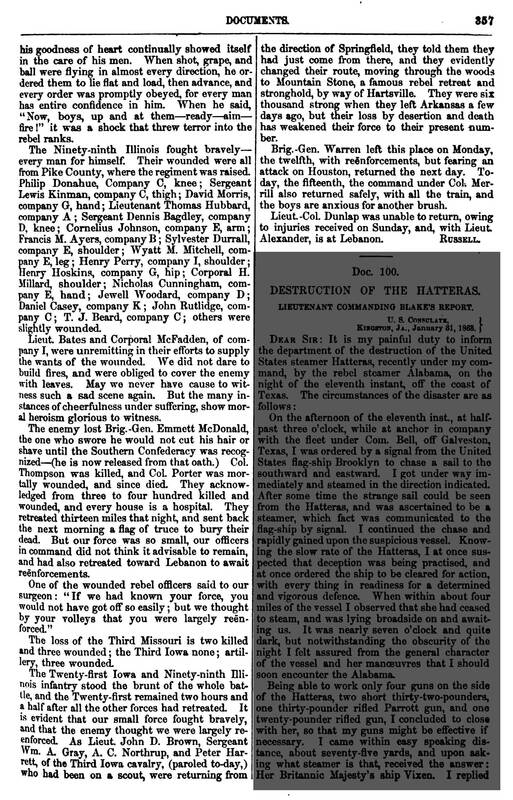 George and Thomas would continue fighting until George was taken sick in Texas and transferred on 29 Feb 1864 to the invalid corps (reserves) in Baton Rouge, Louisiana where he later contracted smallpox. His transfer record states his disability as "nervous, derangement" which nowadays can most likely be attributed to some form of post traumatic stress disorder. 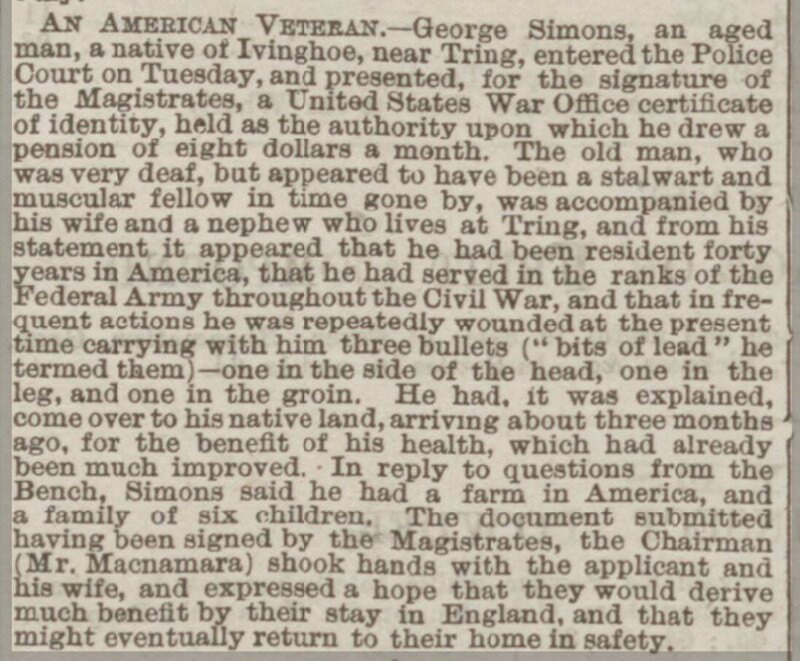 George was honorably discharged on 1 May 1865. Son Thomas stayed in the 21st and mustered out at the completion of his service on 15 Jul 1865. The wounds George suffered during the Civil War would affect him the rest of his life. Described as having hazel eyes, dark hair, dark complexion and standing 5 ft 11.5 in. tall, George wore his hair long to cover the wound and skull fracture to the left side of his head. He had a "lame" left leg due to being shot in the knee, and was said to have suffered from frequent dizziness and headaches that were especially prevalent in heated rooms or during hot weather. George Simons in Charles Robinson Bio (1914)About March 1887, George returned to England in what was stated as being "for the benefit of his heath". Its also around this time (yet we still have no idea when or where exactly) that George married for a second time. This marriage supposedly took place in England and was to an old friend he had known before he left for America. UPDATE: I stumbled across the blog of cousin Sharron McElmeel the other day and was delighted to find a ton of useful information, some of which could only come from family that grew up around George in Iowa (unlike my family, that stayed behind in Ohio). Her post is a wonderful resource and I'm happy to reference it here. I plan to add her information into the above story soon and will reference it below in the sources as well (as soon as I stop slacking). Mary Osborne, 1788 - ? 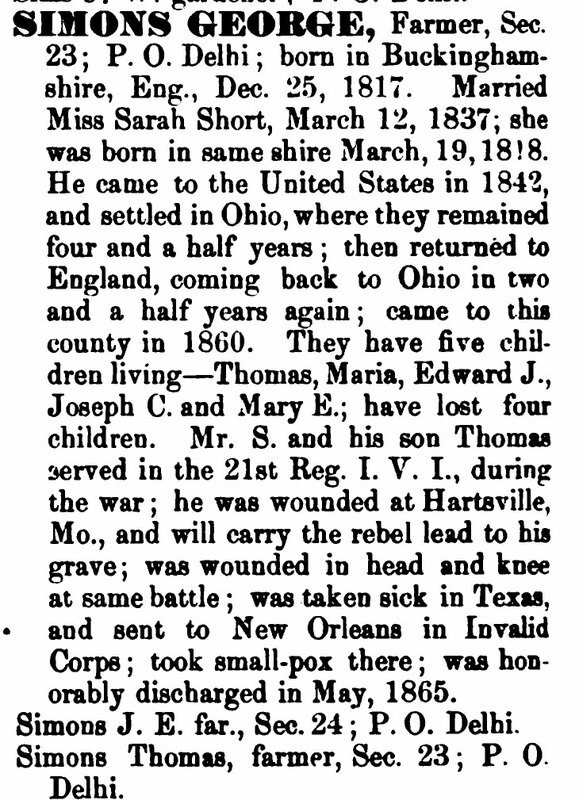 A George and Sarah were said in George's 1878 biographical piece to have lost 4 of a total of 9 children. 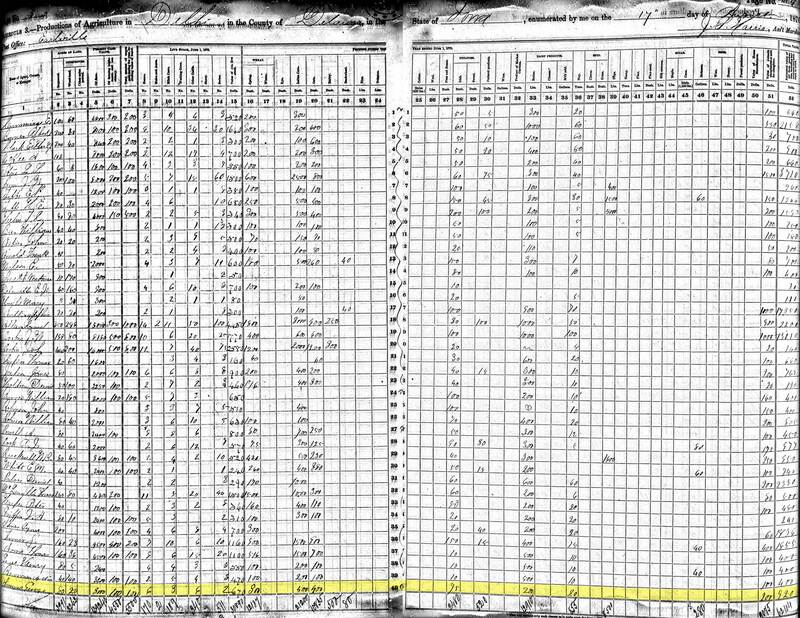 Seeing as how only one child from censuses went unaccounted for (Jesse, age 7 in 1850) It reasonable to assume these children most likely died in infancy or early childhood. B Originally written as the Battle of Houston, even though he was wounded at Hartville, Missouri. History now notes this skirmish as the Battle of Hartville. The Union troops marched a relief effort from Houston, Missouri to defend Union posts under assault by Confederate raids around Hartville. The Union took Hartville and setup a strong defensive position that repelled multiple Confederate attacks before both sides withdrew by nightfall with no clear victor. C Sharron's blog post notes that the family belief is George was buried in Pitstone and the reference to him is just a family memorial to their father (an email conversation with Sharron confirms this). History seems to suggest this is accurate as embalming was only invented at the end of the Civil War about 20 years prior and the expense involved in returning a body from England to America would have been no easy task (nor inexpensive)... and something that was still out of the norm 30 years later during World War I. 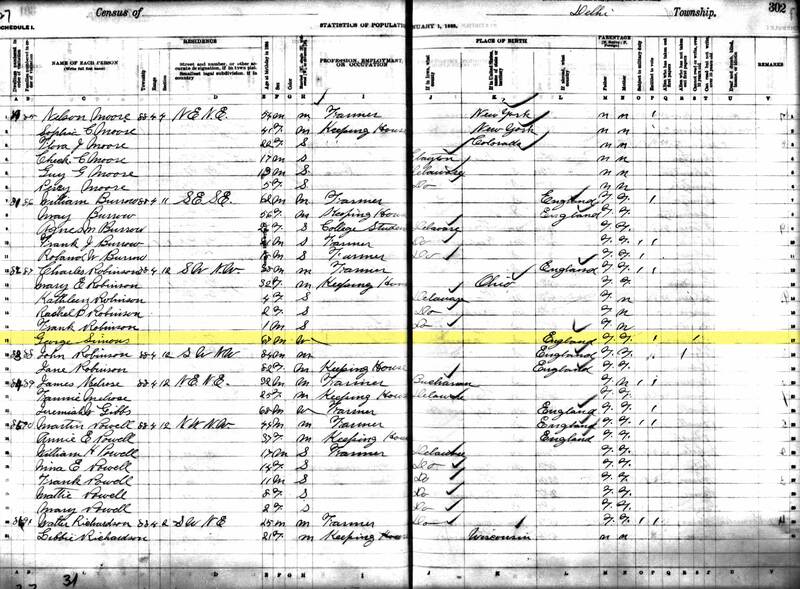 D More research is needed for confirmation, but grandson Fred Christian (through daughter Maria) visited the family from Ohio in late 1881-early 1882 after he had been diagnosed with Tuberculosis in July of that year. It was thought that a change of weather in Iowa might help him recover. It could be unrelated, but it's possible a contagious Fred got his grandmother Sarah sick and caused her death that November (not likey as Sarah is said to have died from issues related to heart trouble). E The "An American Veteran" article only reference George's nephew by title alone. However, a little digging uncovered one Simons relative living in Tring. This was Charles Simons, George's nephew through his brother Joseph. F The history of the Simons family name seems to be a muddled mess. While it appears the family here in America finally settled on the spelling "Simons", it was a rough road getting there. 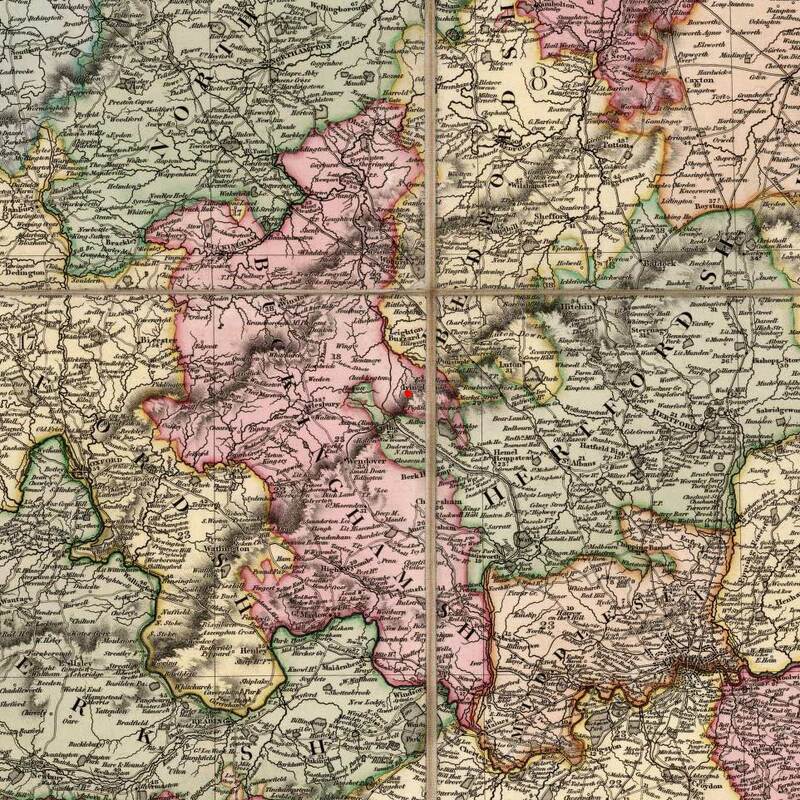 So far, it appears earliest records may have the name written "Symons", but a majority of English records for father Jesse list the name as "Simmons" and many parish records list "Simmonds" (including the birth registration of George's 3 children in Ivinghoe). All these names coincided with each other. Father Jesse was documented under everything but "Symons" and the same can be said for George. G While a definitive reason for the family's return to England may never be known, I think I'm on to something. I have been unable to located any records of George's sister Rachel or her husband Ethelred in America. At this point, I believe Ethelred passed away and for one reason or another George took Rachel back to England where it appears she remarried in 1849 to a James Darvill. She lived in Tring, Hertfordshire until her death in 1892 (which is only a mile or two south of Ivinghoe & Pitstone, and the same place we can find George after he returns to England in the 1880s). Was the family always on the Vicarage Farm in Ivinghoe? When did they start occupation of the farm? 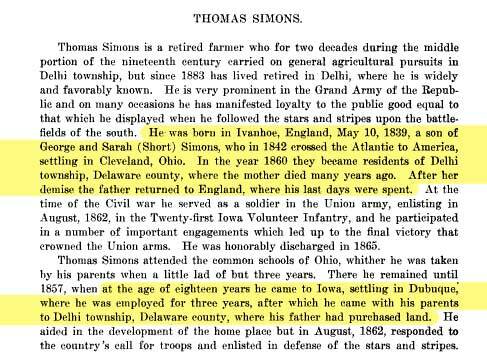 1 Biography of George Simons; "The History of Delaware County, Iowa", authored and published by Western Historical Company, Chicago, 1878; Library of Congress; George Simons, Delhi Township; pg.606. 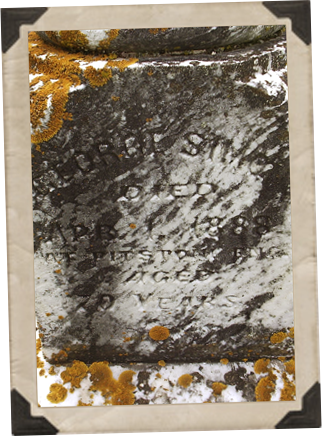 2 Ohio, Find A Grave Index, 1682-2012 about Sarah Short Simons; Find A Grave. Find A Grave (http://www.findagrave.com/cgi-bin/fg.cgi?page=gr&GRid=74157817) : accessed 28 January 2013; See headstone inscription for date of birth; Memorial No. : 74157817. 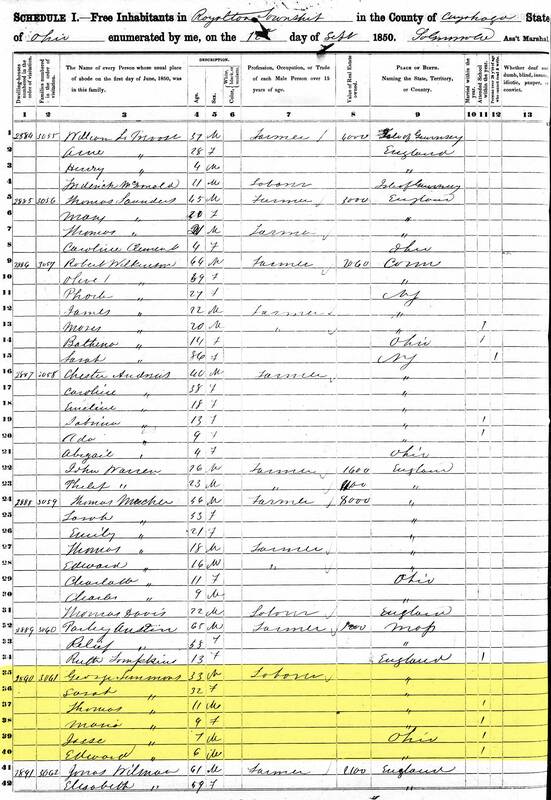 3 England Christening of Sarah Short; "England Births and Christenings, 1538-1975," index, FamilySearch (https://familysearch.org/pal:/MM9.1.1/NKYB-FJH) : accessed 19 Jan 2014), Sarah Short, 08 Nov 1818. 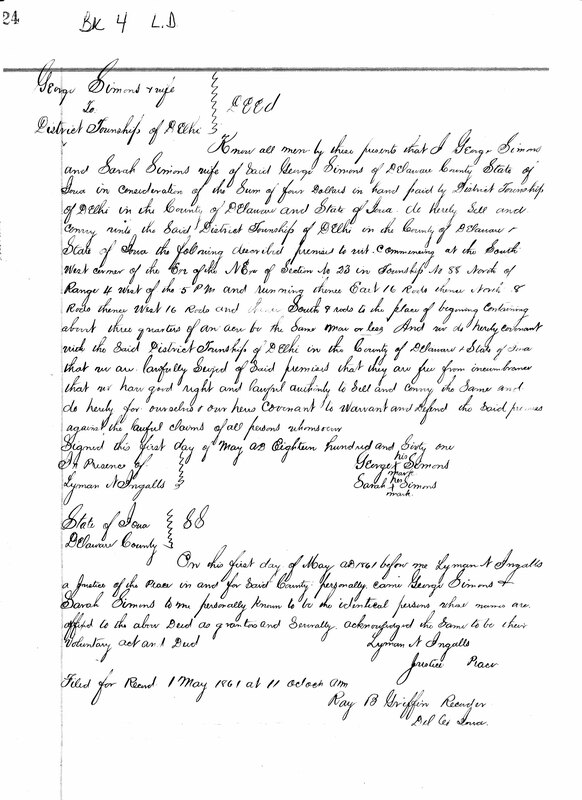 4 Marriage of George Simons and Sarah Short; "England Marriages, 1538–1973 ," index, FamilySearch (https://familysearch.org/pal:/MM9.1.1/NV7Z-LMV) : accessed 19 Jan 2014), George Simmons and Sarah Short, 13 Mar 1837. 5 1841 England Census about George Simmons; Class: HO107; Piece: 50; Book: 1; Civil Parish: Ivinghoe; County: Buckinghamshire; Enumeration District: 1; Folio: 4; Page: 2; Line: 16; GSU roll: 241215. 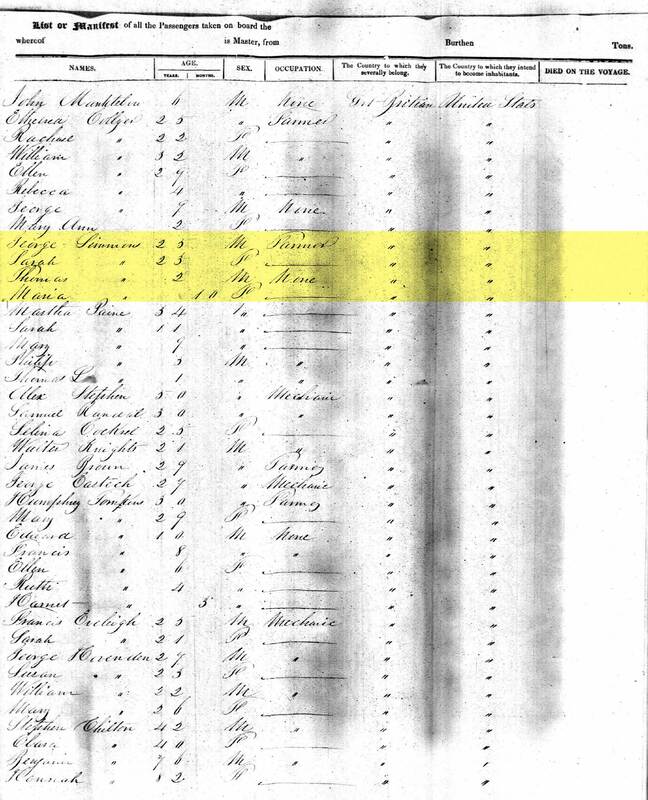 6 New York, Passenger Lists, 1820-1957 about George Simmens; Year: 1842; Arrival: New York, New York; Microfilm Serial: M237; Microfilm Roll: 48; Line: 9; List Number: 407. 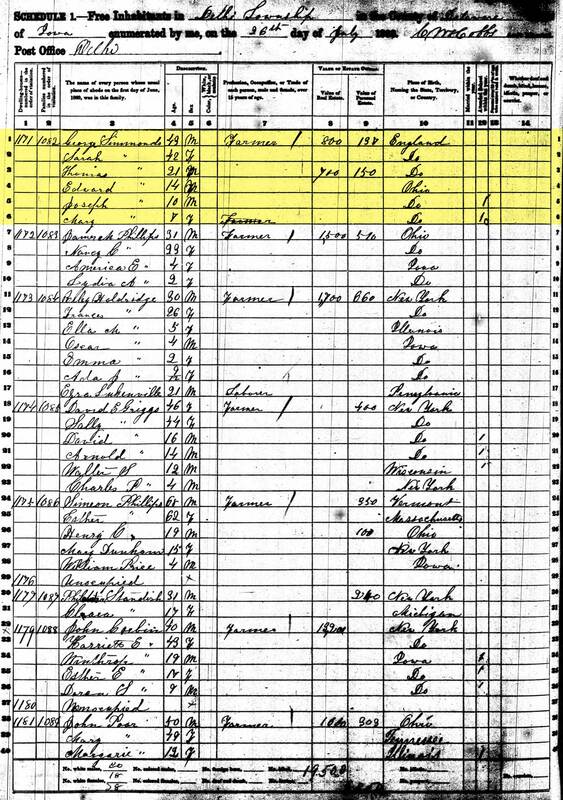 7 1850 United States Federal Census about George Simmons; Year: 1850; Census Place: Royalton, Cuyahoga, Ohio; Roll: M432_673; Page: 158B; Image: 510. 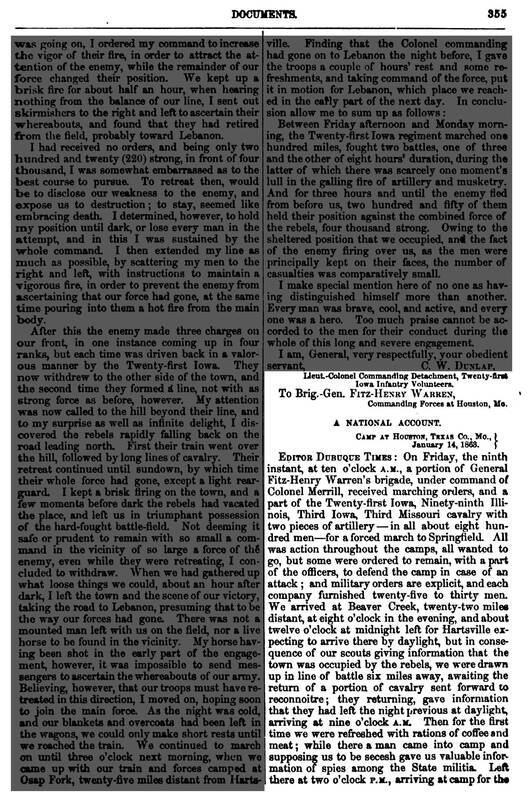 8 U.S., Civil War Soldier Records and Profiles, 1861-1865 about George Simons; Historical Data Systems, comp. U.S., Civil War Soldier Records and Profiles, 1861-1865 [database on-line]. Provo, UT, USA: Ancestry.com Operations Inc, 2009. Original data: Data compiled by Historical Data Systems of Kingston, MA from the following list of works. 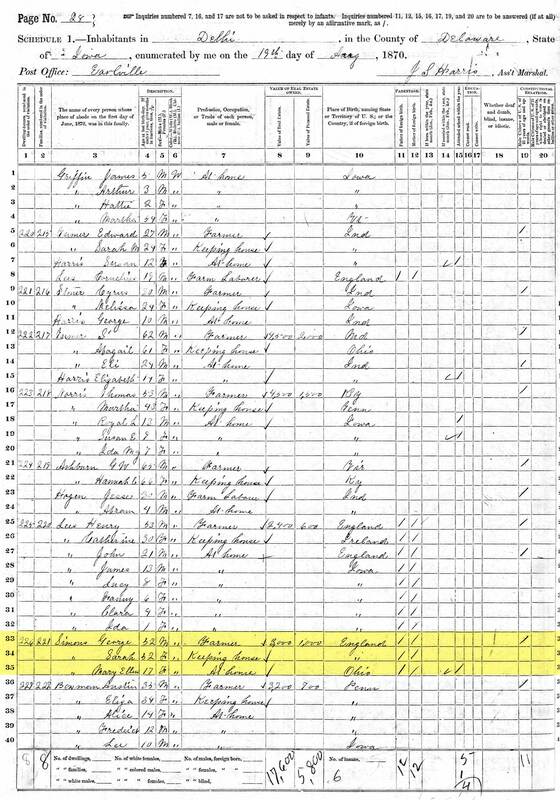 9 1870 United States Federal Census about George Simons; Year: 1870; Census Place: Delhi, Delaware, Iowa; Roll: M593_387; Page: 103B; Image: 210; Family History Library Film: 545886. 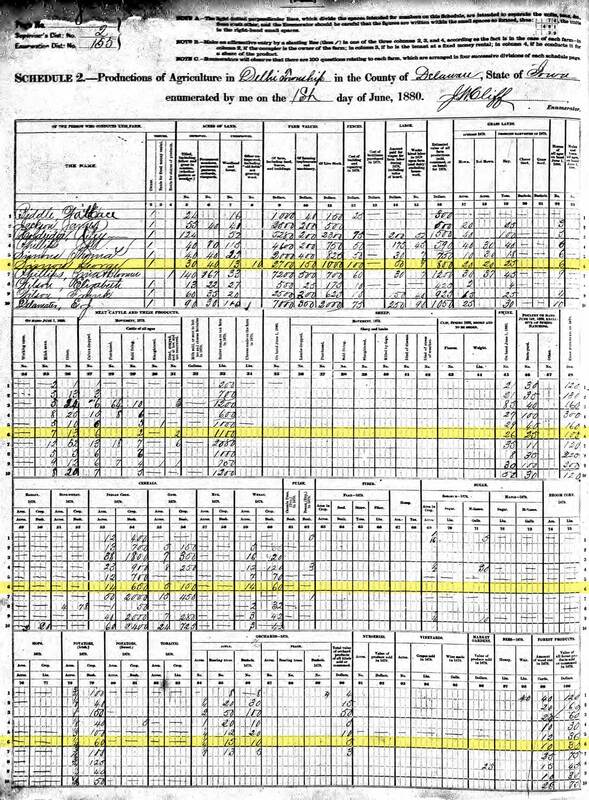 10 1880 United States Federal Census about George Simons; Year: 1880; Census Place: Delhi, Delaware, Iowa; Roll: 336; Family History Film: 1254336; Page: 434B; Enumeration District: 155; Image: 0651. 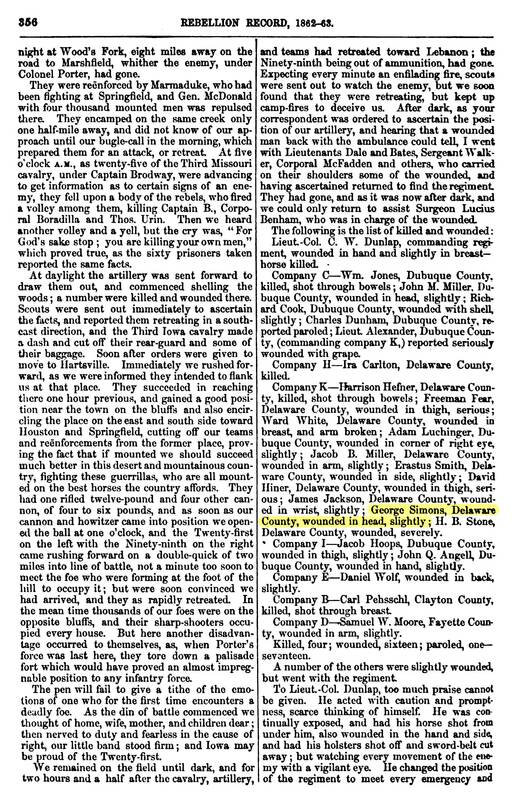 11 Deaths, Register of - Delaware Co. Iowa Vol.1 about Sarah Simons, 1811; Iowa Death Records Index 1880-1906 (http://iagenweb.org/delaware/vitalrecords/DR/1880_1906/reg1881.htm : accessed 13 May 2014). 12 Iowa, State Census Collection, 1885 about George Simons; Microfilm of Iowa State Censuses, 1885 obtained from the State Historical Society of Iowa via Heritage Quest; Roll: IA1885_175; Line: 17; Family: 87; Dehli, Delaware, Iowa. 13 Biography of Charles Robinson; "History of Delaware County, Iowa and its People, Illustrated, Volume II"; The S. J. Clarke Publishing Company, 1914, Chicago; Charles Robinson; Page 409-410. Call Number 977.7385 H2m; LDS microfilm #934937. 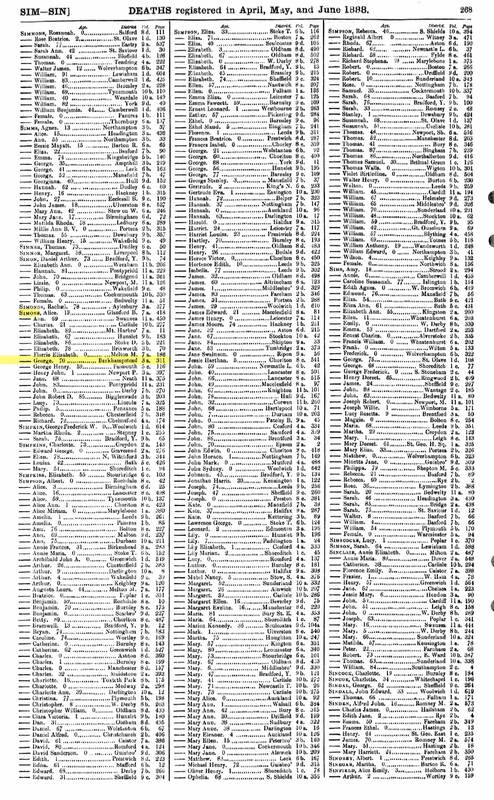 14 Ohio, Find A Grave Index, 1682-2012 about George Simons; Find A Grave. Find A Grave (http://www.findagrave.com/cgi-bin/fg.cgi?page=gr&GRid=74158010) : accessed 28 January 2013; See headstone inscription for date of birth; Memorial No. : 74158010.